DETROIT - A school bus driver was attacked Friday while taking children home in Detroit. Rebhi Mohammad, 63, was driving the children home from the Multicultural Academy in Ann Arbor, where he has worked for two years. 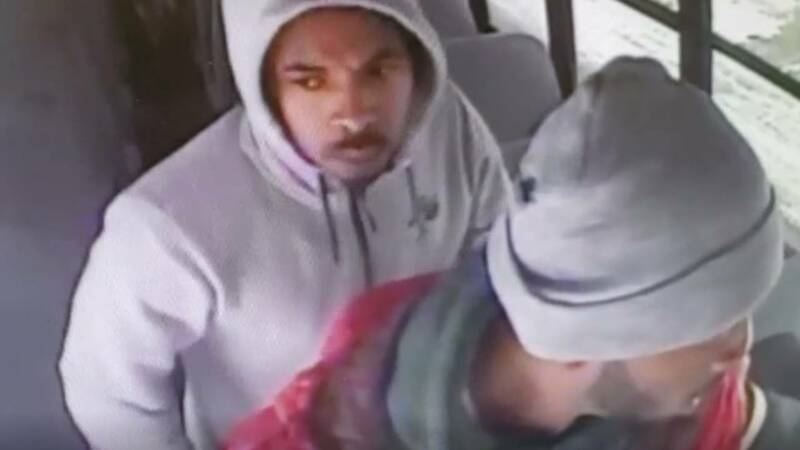 While in the process of dropping off one of the children near Asbury Park and Diversey Avenue, two men barged onto the bus and assaulted Mohammad. Mohammad said the men were yelling that he had clipped the side mirror of their car with his bus. Children cowered in the back of the bus while the men punched the driver. Police said Mohammad was struck in the face and head repeatedly before the men fled the scene. Mohammad said he was concerned about the children during the brutal attack. Mohammad said he took the children to the next stop, then called police. He was transported to a hospital, where he was treated for serious head injuries. The school has created a GoFundMe page to help pay his medical bills. Detroit police are seeking the men wanted for the attack. Anyone with information about the identity of the men is asked to contact the Detroit Police 6th Precinct at 313-596-5640 or Crime Stoppers at 1-800-Speak-Up.